SSF Ingenieure is one of Germany’s leading companies in the construction engineering and soil engineering sector. For more than 40 years we have been designing bridges and tunnels, and developing high-performance motorway and railway solutions. We plan railway and underground stations and develop complex industrial structures as well as building structures. With SSF Ingenieure you will have the support of a competent and reliable partner on your side. We implement your project with maximum quality, reliability and integrity. In 1971 Victor Schmitt and Dieter Stumpf founded the engineering office Schmitt & Stumpf in Munich. The core business at the time was providing final design for bridges and engineering structures, as well as design services for the public sector. In 1988, Wolfgang Fruehauf joined the company to form Schmitt Stumpf Fruehauf and Partners. Prior to joining SSF, Mr. Fruehauf served as CEO in the Munich office of a large German construction company where he was responsible for infrastructure design. Since this merger, the business has grown in size and strength and has considerably expanded its portfolio of services. In 2008 the management board was expanded to include the engineers Christian Schmitt and Helmut Wolf. At the same time, the legal name changed to SSF Ingenieure GmbH. In 2010, SSF Ingenieure GmbH transformed into SSF Ingenieure AG. Messieurs Victor Schmitt, Dieter Stumpf and Wolfgang Frühauf retired from their operational position, withdrew from the management and changed to the supervisory board. 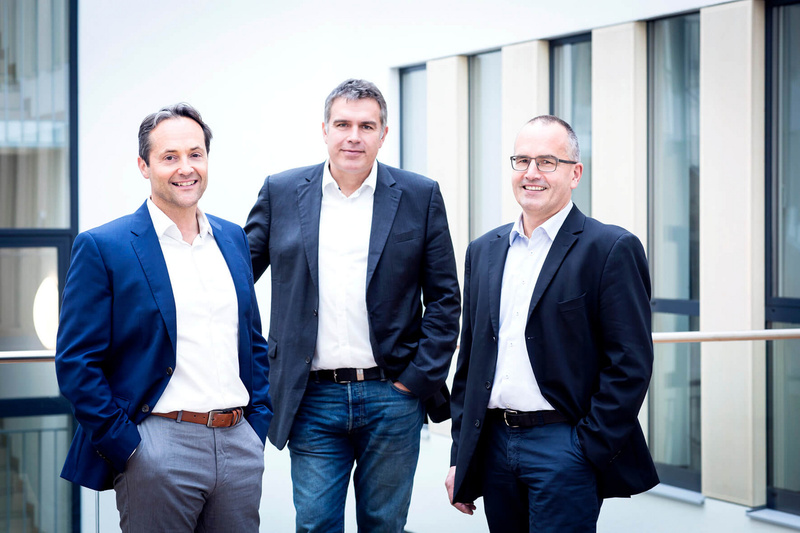 Christian Schmitt and Helmut Wolf will henceforth assume the management of SSF Ingenieure AG. In January 2011 the management has been expanded by the engineer Anton Braun. As sustainable and socially responsible companies of the SSF Group, we identify ourselves with the principles of corporate responsibility and orientate ourselves voluntarily to the new ISO standard 26000 of Social Responsibility. SSF Ingenieure employs a highly qualified team of some 260 engineers, architects, ICT specialists, business administrators and economists. They are among the best in their particular discipline, and are our most important and valuable asset. The skills, commitment, personal dedication and creativity of every one of them form the foundation for collective success. They guarantee that SSF can master all challenges, now and in the future. That is why we promote the development of our staff and create an atmosphere of mutual trust as a basis for team spirit and the sharing of knowledge and expertise. Our efforts to put into practice integral solutions as added value for our clients led to a network of cooperations with our affiliated companies and well functioning working relations. PEC+S Beijing – Planning, Engineering, Consulting + Services Ltd.
Foreign countries, different (construction) cultures, different traditions and certain standards always present a new challenge for the international project management at SSF Ingenieure. Our successful international projects clearly show that good and sustainable planning is only possible in close dialogue with the client based on widespread competencies in project management and the application of multiple engineering disciplines. Many years of experience and high expertise from SSF Ingenieure’s core business contribute directly to the productivity and success of our foreign activities. SSF has a certified QM system in accordance with DIN EN ISO 9001:2015 “Quality systems: requirements”. A key element of this QMS is the ability to measure our performance by achieving the intended results. The QMS also serves as framework for a constant improvement of our services and is an important tool in our striving for highest possible quality of all our services provided in the fields of architecture and civil engineering. Internal instructions and structures adapted to our work and applicable to design and management processes and procedures ensure constant quality assurance. Part of it is, amongst others, to establish the client’s satisfaction. We strive for efficiency and effectiveness – with this in mind, quality assurance is one of our central aspirations. The QM system is valid for all services in the scope of application.